McCormack, R.B. 2013. 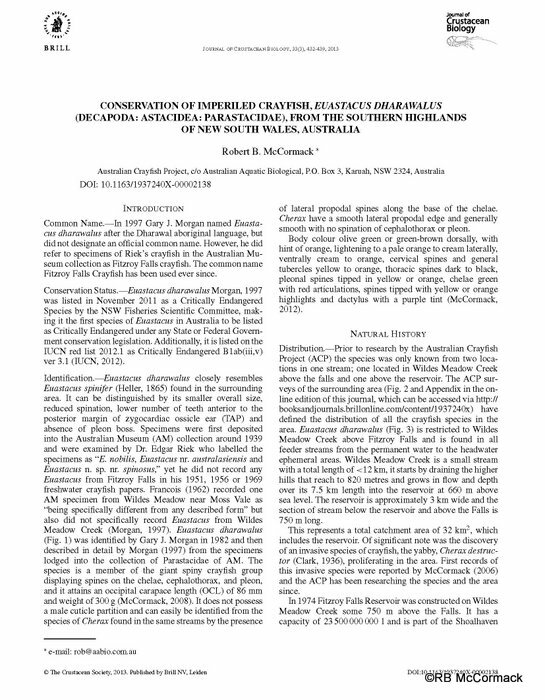 Conservation of Imperiled Crayfish, Euastacus dharawalus(Decapoda: Astacidea:Parastacidae), from the southern highlands of New South Wales, Australia. Journal of Crustacean Biology, 33(3), 432-439, 2013. Members receive online access to Ecdysiast plus online and print version of Journal of Crustacean Biology. 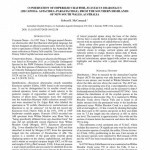 This was an important paper as the New South Wales Fisheries Scientific Committee has listed Euastacus dharawalus as Critically Endangered. 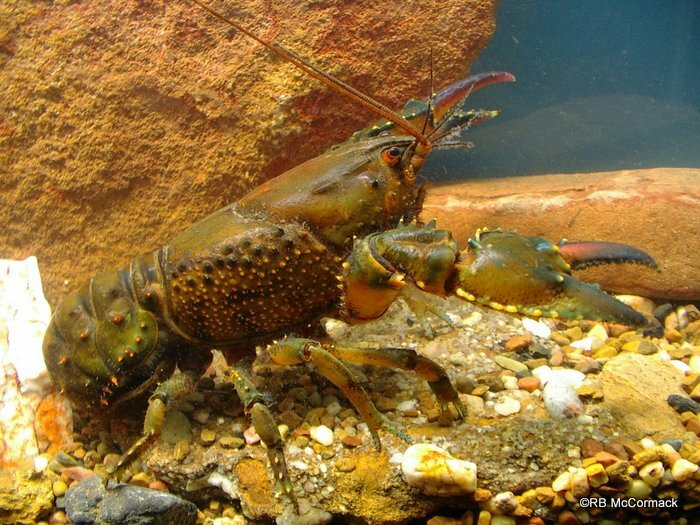 This is the first Euastacus crayfish to be listed as critically endangered by any state or the federal Government. It is illegal to catch and keep, buy, sell, possess or harm Fitzroy Falls Spiny Crayfish (Euastacus dharawalus) without a specific permit, licence, or other appropriate approval, and significant penalties apply. For critically endangered species, these penalties can include fines of up to $220,000 and up to 2 years in prison (Fisheries NSW). Euastacus dharawalus has a very restricted distribution only known to occur above the Falls. 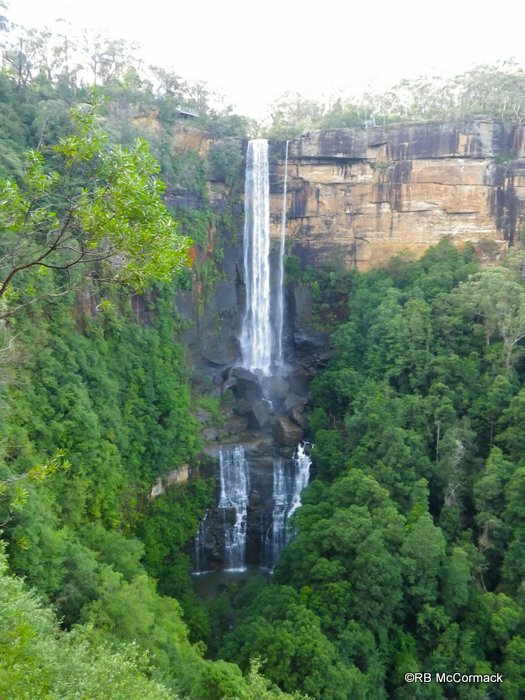 If you are one of the 300,000 visitors/year that visit the walks and viewing platforms above Fitzroy Falls then take the time to have a look in the creek. If you’re lucky you may see one of these critically endangered crayfish scavenging along creek bottom.